Memorial Day is one of the most high-risk days of the year for theft of cargo and trucks. That’s why the trucking industry will be on high alert with increased security procedures over the holiday weekend. Rates of theft over the Memorial Day weekend tend to spike by 40 percent compared with non-holiday weekends, according to data from CargoNet, a company that advises on cargo theft prevention and recovery. The company logged a total of 98 cargo thefts on this weekend over the last four years. More cars on the road is one of the reasons for the increase of theft. This year, increased road congestion over the holiday weekend will underscore this factor. About 35 million Americans will drive at least 50 miles, according to data from the American Automobile Association. That’s the highest travel volume for Memorial Day weekend since 2005, and about 1 million more than last year. The three-day holiday also allots extra time for thieves to drive off with pilfered cargo or full rigs. Truckers partaking in one of the calendar’s most leisure-oriented weekends often leave their vehicles unattended. Truck stops and terminals also are deprived of many regular employees that observe the holiday, according to theft experts. Busy law enforcement agencies that are distracted by highway patrol, holiday parades or other festive activities creates additional vulnerability, said Brian Moran, vice president of product management for security firm Savi Technology. Though the seasonal incidence of theft will ease when regular business resumes on Tuesday, the battle is long-term. As thieves continue to use sophisticated means to steal cargo, the trucking industry will remain on the defensive, developing new theft-thwarting technology to safeguard safe shipment of goods. 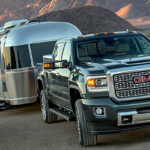 Truck thievery assumes two forms: “straight” theft and “strategic” theft, said Scott Cornell, crime and theft specialist for Travelers Insurance, who also leads the company’s transportation unit. Straight thefts in which perpetrators hitch to a loaded trailer, unload a trailer or even drive away with a full tractor-trailer are the most common form, Cornell said. But strategic thefts are the fastest-growing type and now comprise 10 percent of all thefts nationwide, he said. These occurrences are devised using identity theft or other remote, digitally-enabled means. Another example of strategic theft is using fabricated documents to request pick up of a legally registered trailer for a specific load. Conventional thieves may be deliberate or opportunistic. Some might trail a big rig, biding their time to strike, or quickly swoop in on a load at a truck stop while the driver is showering or paying for fuel, experts said. Operators are enlisting security vendors that use connectivity and other technologies to track and defend against conventional or straight theft. SmartDrive, a company that specializes in video analytics, provides video and audio surveillance integrated throughout the truck that is activated by the driver if he perceives suspicious behavior around the vehicle. It can also record continuously, to be accessed retroactively in the case of theft. Savi Technology uses sensor analytics solutions to protect shipments of high-value goods, such as consumer electronics and pharmaceuticals, with impregnable locks and tags that secure the trailer and warn would-be thieves. “If the trailer goes off the approved route for long [or the cable is cut or spliced], the operator will be alerted,” said Moran. The security company also provides geo-fencing to monitor where a load travels. Unfortunately, independent operators who make up about 80 percent of the industry don’t have a full staff of risk-management and safety directors or big insurance, and are generally unequipped to defend against strategic thieves, said Michael Nischan, vice president of transportation for Epic Insurance Brokers and Consultants. “The mom-and-pops are the most vulnerable,” Nischan said.